Child discipline – probably the least enjoyable part of parenting. It can be frustrating, discouraging and exhausting. It is one of the most common and toughest challenges of parenthood. As it turns out, using punishment is not the only way nor a good way to successfully discipline a child. In this article, we will look at why these disciplinary measures are not good. help you develop a close relationship with them. No more nagging, yelling, threatening or punishing. Many people use discipline and punishment interchangeably. But they are not synonyms. Discipline and punishment are not the same thing. Discipline is the practice of training someone to behave in accordance with rules or a code of behavior. The word, discipline, comes from Latin disciplina (teaching, learning or instruction), and discipulus (disciple, pupil). To discipline means to teach. To teach is to show and explain how to do something. It focuses on teaching the desirable future behavior. To punish is to inflict suffering for the past behavior. But the difference between discipline and punishment goes deeper than just the meaning of the words. There is also a difference in how a child’s brain reacts to them. Punishment is not just philosophically bad. It is actually harmful to brains. Parents, we want healthy brains for our kids, right? So keep reading and you’ll find out why and how punishment is bad for our kids’ brains, and what to do to discipline. Here is a famous conditioning experiment done by Russian physiologist, Ivan Pavlov. A dog salivated when it was being fed. So Pavlov came up with an experiment. Whenever he gave food to his dogs, he also rang a bell. After repeating this procedure a number of times, he rang the bell on its own. Now the bell on its own caused an increase in the dog’s salivation. This experiment showed that the dog had learned to associate the bell with food and a new behavior was formed. This is called classical conditioning. The bell was originally a neutral stimulus but then became a conditioned stimulus. The salivation was a conditioned response. Based on this result, it seems natural to conclude that if a negative consequence is associated with an undesired behavior, a dog, or even a child, will eventually learn to adopt a desired behavior instead due to the fear of negative consequence. But wait … does this theory apply to human children? Well… yes… but there’s more to it. You guessed it, it has to do with the human brain. Neurologists believe that human brain is composed of three brain regions. Reptilian brain – controls bodily functions such as breathing, heart beat, digestion, fight or flight reaction and other survival functions without our conscious effort. Mammalian brain – also called the emotional brain, is responsible for strong emotions such as fear, rage, separation anxiety, caring, nurturing, etc. Human brain – also called the thinking brain, it is where learning, reasoning, problem-solving, decision-making or sophisticated thinking takes place. Punishment impacts the emotional brain. How do human brains react to fear? Let’s say, you are hiking in the wild and suddenly, a large animal jumps out in front of you. What would you do? If you are like most people, you would instinctively take a step back without thinking. Then, on a closer look, you notice that it’s only a playful and friendly dog. So you relax after making this conscious judgement. Danger triggers an alarm (and fear) in our emotional brain without first going through the thinking brain. Because when you’re in danger, you can’t afford to think! Stress hormone, cortisol, is released to equipped the body to fight back or get away (or jump back) quickly. This is called the fight-or-flight mechanism. All of these happen automatically without us thinking about what to do next. This mechanism is valuable for human survival. Great, let’s tie it all together. Punishment is fear-based coercive discipline. And frequent fear is not good to brains. Young children, especially toddlers and preschoolers, are curious. They are ambitious and they are fearless. But they don’t know much about safety. They don’t understand why they are expected to behave a certain way. And they don’t follow reasoning that well. So, many parents resort to using fear, or coercive measures such as corporal punishment, time-out or berating, to discipline. Kids get into trouble a lot and therefore, in these homes, kids are threatened by fear of punishment a lot. Note that it is not just punishment that can cause fear. The threat of punishment can also induce fear in kids. These parents hope that fear will condition their children to abandon the undesired behavior and adopt the desired one, much similar to a dog being conditioned to adopt a new behavior. Frequent fear can really mess up a child’s brain, in many unexpected ways. When fight-or-flight mechanism is invoked, the emotional brain takes over while the thinking brain goes offline. If the event is life-threatening or causes intense fear, a special memory is created and stored separately from normal memory. This type of special memory is etched in our brain and makes us feel miserable to ensure we will avoid it in the future. So, fear can indeed condition us to change our behavior. This type of fear conditioned memory is what underlies mental disorders such as depression, anxiety, and posttraumatic stress disorder (PTSD) later in life. Because the creation of this special memory (and the recall of it) does not need permission from our thinking brain, it is hard to avoid the harmful mental effects. To parents, being harshly punished may not appear to be a life-and-death situation that can result in intense fear. If we’re hit or yelled at, we may be able to recover quickly. We can vent to friends, distract ourselves with other activities or stop seeing that person again. Our world is full of options. But for children, especially younger ones, parents are their entire world. 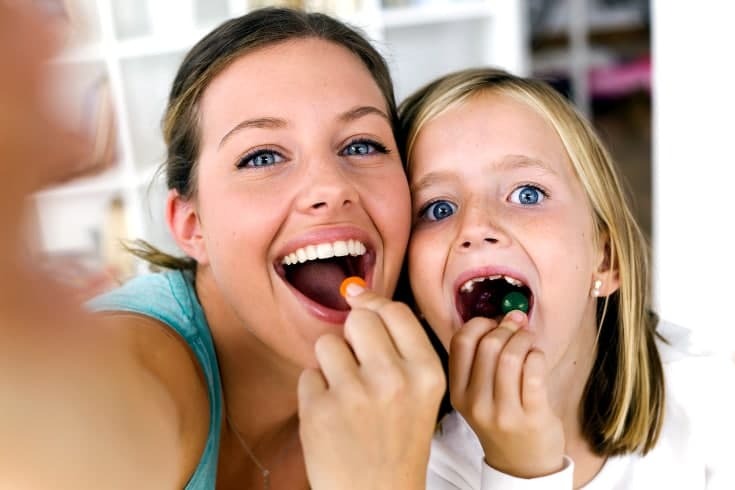 Parents are the main or sole providers for food, safety and all other necessities. Children have no choice when it comes to choosing their own caretakers. It’s about survival. It is life-or-death. And let’s not forget, from a child’s perspective, adults are huge physically, almost like giants. To kids, harsh treatment by caretakers can and often do feel like a life threatening experience. When fear is presented frequently, the chronic elevated level of stress hormone will cause serious health problems for the child in the long run — brain shrinkage leading to memory and learning difficulties, suppressed immune system, hypertension, depression and anxiety disorder just to name a few. Fear is not the only emotion that can cause our thinking brain to become disconnected. Other types of stress, such as anger or rage can, too. 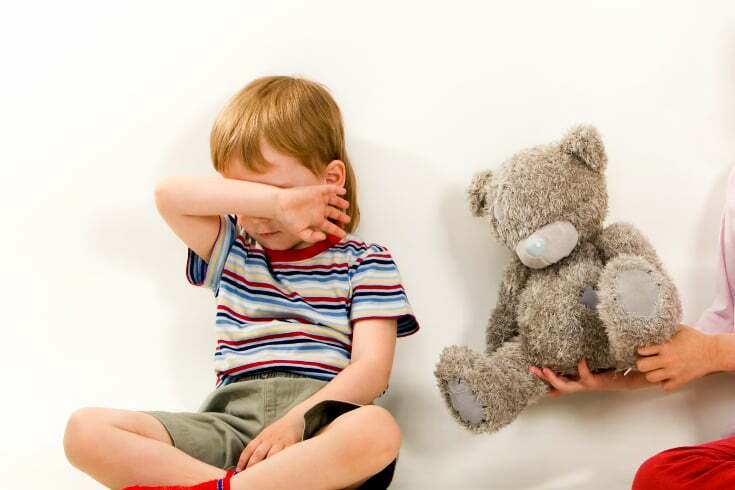 Because a frequently punished (or threatened to be punished) child is constantly in an alarmed state, the child’s fight-or-flight reaction kicks in easily even when they face mild frustration. When that happens, the emotional brain becomes in charge without the thinking brain’s participation. The child can react emotionally by acting out or having uncontrolled outbursts. They cannot access their thinking brains. They cannot effectively regulate their emotions. Indeed, studies find that if the parenting style is harsh or punishment is the predominant type of discipline, children from these homes exhibit weaker emotional regulation and more impulsive aggressive behavior. 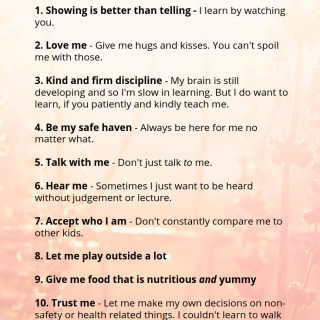 Emotional Regulation and self-control are some of the most important skills young children should learn. Parent’s influence on the child’s ability to acquire those skills is paramount. A child also learns to modulate emotions through attuning to and observing their parents’ reaction. If parents are harsh whenever their child makes a mistake, the child learns to be harsh when others make mistakes. Is that the lesson you want your child to learn? A punishment centric environment can induce persistent negative emotions in children making it even harder for kids to learn to self-control. Sometimes, punishment can create a self-fulling prophecy. While a child’s negative behavior leads to parents’ negative response, parents’ punitive reaction also leads to or amplifies a child’s externalizing behavior. A child’s behavior and the parents’ responses can feed on each other and spiral into ever increasingly punitive punishment. Eventually, the punitiveness of the punishment may escalate to abusive level. Numerous studies have found that harsh or punitive punishments, especially those in the form of physical punishment, will lead to future aggression in children even though it may deter the child’s negative behavior in the moment. Punitive punishments are also implicated in Oppositional Defiant Disorder (ODD). Children who are harshly punished may become bullies or victims of bullies themselves. Some children also exhibit disruptive behavioral problems as they grow up. When parents try to change behavior by fear, they are modeling how to use superior positions or strength to intimidate. They are also normalizing abusive behavior. When these children go to school, some learn to do the same to other children who are weaker than them. Some become victims of bullies themselves because their parents’ action has shown them that such behavior is acceptable. Sometimes, their parents’ behavior has also caused the children to feel powerless in escaping or changing the situation. These children are then conditioned to feel powerless to escape if they end up in abusive relationships as grownups. The world’s longest running longitudinal Panel study started in 1968 by University of Michigan reveals the relationship between punitive discipline and children’s school performance. Researchers found that homes that use punitive discipline, such as punishment, lecturing or restricting activities (that are otherwise not affecting academic studies) are associated with lower academic achievement compared to homes that have warm parent-child interactions and use reasoning to teach. The chain of psychological events that leads to the development of a disciplined child is a complex process. Classical conditioning that works well for dogs simply does not work well for human. Unfortunately, punitive punishment is prevalent because parents often get the immediate behavioral change they want. So they mistakenly think that it “works” but soon they will find out it doesn’t in the long run. Using harsh punishment to fear-condition kids is ineffective at best and harmful at worst. Even when it seems to work, the child has to pay a high price. For many parents, punishing is the only way they know how to discipline. But discipline means to teach. And you don’t have to punish to teach. Imaging how effective it would be if a teacher used punishment to “teach”. Right?! Without further ado, here are 4 effective disciplinary measures that can help you adopt no punishment parenting. Have you noticed that when you make a certain move, your dog or cat will not imitate you, but your child will? The ability to learn by observing and imitating others is unique to human. Scientists discovered that a specific neuron circuit in the brain, called the mirror neuron system, is responsible for that capability. This neuron system not only allows us to imitate others’ action but also understand the intentions of action. This discovery may partially explain why it is so important that parents model the way they want their child to behave. if you want your child to be respectful, you respect your child. if you want your child to be kind, you are kind to your child. if you don’t want your child to hit, you don’t hit your child. if you don’t want your child to be cruel to others, you aren’t cruel to your child. As a kid, when you were punished, during the punishment, did you think about why you were wrong and what you had learned? Or did you think about how mean your parent was, how you wished you were not caught, how unfair the punishment was and how angry you were? When parents focus on using punishment to discipline, the child doesn’t usually learn the right lesson. The child learns to be distrustful, vindictive and revengeful. However, studies show that punishment is often not necessary nor is it effective in disciplining children. But no punishment does not mean no discipline. Researchers have found that non-coercive discipline, contingent encouragement, monitoring and problem solving are far more effective in disciplining. Positive discipline is one example of such a no-punishment disciplinary strategy. Positive discipline is based on mutual respect and positive instructions. It fosters learning instead of focusing on punishing. To help children stop undesired behavior, the first step is to understand the reasons for that behavior and address the root cause. Parents should also help kids understand the natural consequences of their own actions. Use encouraging words as positive reinforcement to motivate children in a constructive way. My daughter used to drag through the morning routine. Every morning was the same struggle. She took her time playing while brushing her teeth. She could be brushing for 30 minutes and was still not done. hurry, put on your clothes! are you done yet? we need to hurry … etc. She felt that she could only play while brushing her teeth. So the problem was she never had time to play in the morning. Address the source of problem – we brainstormed. Eventually, we decided that I would wake her up 15 minutes early every day. So in the first 15 minutes after she wakes up, she gets the free rein to play and I won’t rush her. Afterwards, she will focus on getting ready for school. Explain natural consequence – I explained that we could not be late. So from now on, when it’s time to go to school, we will leave no matter what, even if she still hasn’t changed out of her pajamas, brushed her teeth, combed her hair, etc. We will just GO. That is the natural consequence. Use encouraging words – When she was able to get everything done on time by herself, I would praise her for being efficient and making sure she wouldn’t be late. By following these steps, I was able to diffuse the conflicts and resolve the issue we had every morning. No punishment needed. Just a natural consequence. “What About Time Out?”, you may ask. Time out, also known as corner time, is a psychological behaviorism strategy developed by Arthur Staats through experiments performed on his own children. Originally, time out means time out from reinforcement. The idea is that removing the child from the reinforcing activity for a brief period of time can discourage inappropriate behavior. This form of discipline is especially preferred in the western countries over reprimanding, scolding or spanking. Many pediatricians and positive discipline advocates even name this as an alternative to punishment because it is not seen as a punitive measure. Although there are many studies on the benefits of using time out to discipline, most parents do not use time out the way it is used in research. Many parents simply take the name “timeout” and the basic idea and then make it an alternative punishment, not an alternative to punishment. timeouts that last for one or two hour. timeouts that require the child to sit still and not move an inch. timeouts that require the child to face the corner. timeouts that require the child to stand in front of other kids to be humiliated. timeouts that are carried out in closets or a locked place. timeouts that are accompanied by scolding before and/or afterwards. These treatments are just as harmful to children as other types of coercive punishments. In a 2003 study at UCLA, researchers found that in brain imaging, the effect of rejection looks the same as the effect of physical pain. So when timeouts are used as punishment by isolation, humiliation or fear, they can be just as detrimental to children’s brains and mental health. Being consistent truly is paramount in no punishment discipline. 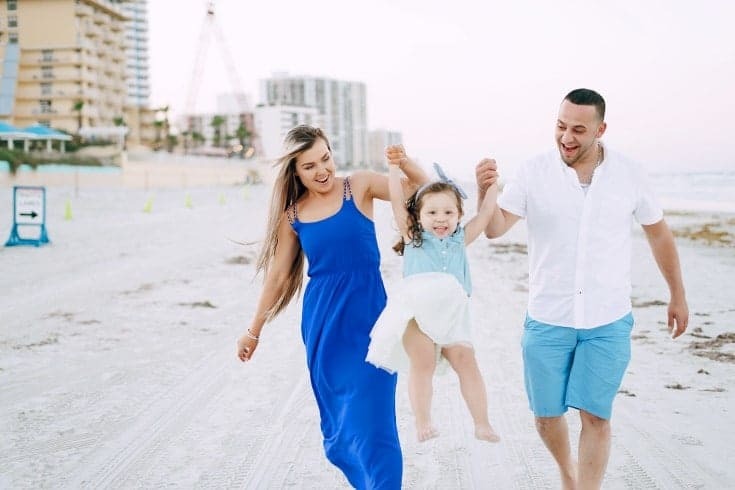 In studies on parenting styles, researchers have found that authoritative parenting style is the best parenting style in almost every dimension. One striking trait of this parenting style is that although authoritative parents do not have as many strict rules as their authoritarian counterparts, authoritative parents are extremely consistent in enforcing those rules.. If you are reading this article, you probably have already read this advice many times in other articles or blogs. But being consistent is so much easier said than done! Have you found yourself lapsing once in a while when you’re too tired to carry out the consequence? Or when you’re too exhausted to deal with another crying or whining? In the morning, I am often tempted to change my daughter’s outfit, brush her teeth and comb her hair for her. I can do these tasks so much faster. Then I won’t have to listen to her screaming, crying and pleading when it’s time to go and she still isn’t ready. But then, my daughter won’t have the opportunity to learn to get ready by herself efficiently. She also won’t experience the natural consequences necessary for her to realize that her action (or inaction) has real consequences in life. Every morning, I need to bite the bullet and suppress my urge to take over the entire routine for her. She had to learn. And she did. It’s not easy. But it was worth it. Be consistent. Do not lapse. … etch this onto your sleep-deprived mind. It may come as a surprise, but effective discipline needs to be age appropriate. I don’t mean whether a particular form of discipline is age appropriate. I mean you need to reevaluate whether your expectation of your kid’s behavior is realistic and age appropriate. Because baby brains, like baby bodies, do not come to this world complete. They need time to develop and grow. In the thinking brain, a region named pre-frontal cortex is needed to learn complex ideas such as discipline. But pre-frontal cortex does not get to develop until around age 3. So kids younger than three simply cannot comprehend the concept of discipline, at least not in a brain-healthy way. With babies and toddlers, what parents need to do is to safety-proof their houses, closely supervise and redirect the kids’ attention when they make mistakes. But as any parent who has ever taken care of a young child can attest, it is a very exhausting job. However, as a parent, you need to decide on the trade-offs. Results: Children acting like perfect angels on the outside from a young age but troubling mental health on the inside when they grow up. Results: Children learn when they are able to learn and grow up with healthy brains. Now, if your kids are older, do you find yourself struggling with your child not listening all the time? If this happens frequently, then it’s time to reevaluate why you need your kids to listen to you all the time. Contrary to popular belief, obedience is not a virtue. There are things everyone, children or adults, need to obey, e.g. the law, airplane evacuation instructions, order in the classroom, etc. But there are so many other things that no one should have to obey. Because we are all individuals with our own mind and liking. Children are people, too. They have their own minds and at times want to do things different from what we want them to do. Ask yourself: are you parenting or are you dictating? If your parental goals include raising a person who has an independent mind, critical thinking skill, confidence in themselves and not blindly following instructions, etc. … basically, if you want your child to become a leader, not a follower, then raising them like a dictator won’t let that happen. So, reevaluate what are the must-obeys in your house. Then think about whether these musts are more important than developing your child’s independence and judgement, and having a close loving relationship with your child. external constraints such as time, energy, resources, finance, etc. Things related to the above are often must-obey in our house. Say, if we can’t afford to buy this toy, we can’t afford to buy this toy. Sorry, but that’s final. But for almost everything else, we respect our child’s preferences and decisions. Use natural consequences to replace punishment. Develop your must-obey list that is age-appropriateness and meets your parental goals. Hold a family meeting to discuss all the rules. Agree on the natural consequences that you know you can follow through on. Be consistent in enforcing them. Neuroscience has taught us that life experiences during a child’s formative years are critical in brain development and character building. If we can fill our children’s lives with positive learning, they will benefit and flourish for life. Does stress damage the brain? By Bremner JD. The Relation between Mothers’ Hostile Attribution Tendencies and Children’s Externalizing Behavior Problems: The Mediating Role of Mothers’ Harsh Discipline Practices. By Nix RL, Pinderhughes EE, Dodge KA, Bates JE, Pettit GS, McFadyen-Ketchum SA. The Contributions of Ineffective Discipline and Parental Hostile Attributions of Child Misbehavior to the Development of Conduct Problems at Home and School. By Snyder J, Cramer A, Afrank J, Patterson GR. Slapping and spanking in childhood and its association with lifetime prevalence of psychiatric disorders in a general population sample. By MacMillan HL, Boyle MH, Wong MY, Duku EK, Fleming JE, Walsh CA. There is no convincing evidence for operant or classical conditioning in adult humans. By Brewer, William F., Weimer, Walter B. and Palermo, David S.
Effective discipline for children. Paediatr Child Health. 2004 Jan; 9(1): 37–41.